Home / Blog - Wild Rose Herbs / Super Moon Sale! Save 20% Now! Super Moon Sale! Save 20% Now! 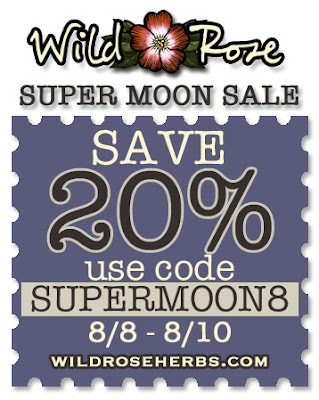 Save 20% using code SUPERMOON8 now through August 10th! And don't miss the epic super moon!